With the US Presidential Election looming, brands are gearing up for a busy couple of months – and the chance to create some limited edition products and food. 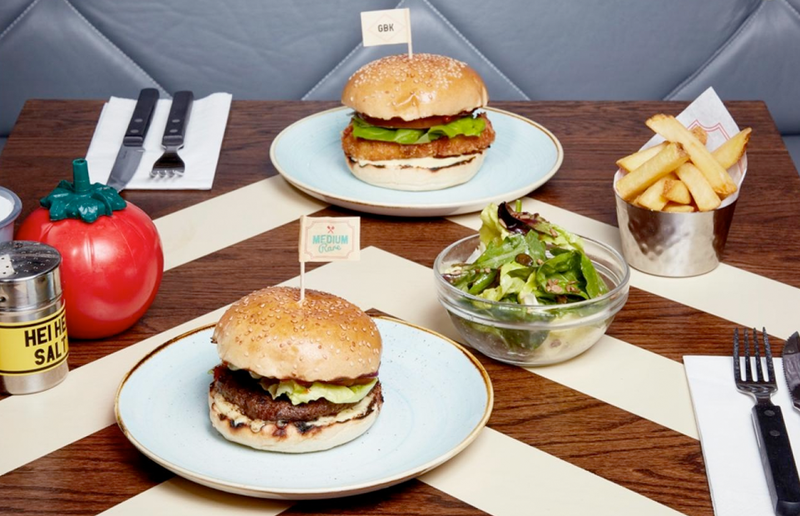 Known for their tasty bites, and selection of filling flavoured shakes, always the Oreo… by the way, Gourmet Burger Kitchen often create limited edition burgers to celebration national or international events. One of their recent summer favourites was The Stack, made up of grilled chorizo, Red Leicester cheese, house onion ring, smoked chilli mayo, rocket, pickled onions and house relish. Yum. But back to today’s news. It’s all about Trump. We mean, Rump. With a 7oz Rump patty, burger sauce, American cheese and Red Leicester cheese, beef ketchup, crispy onions, salad & pickled onions, this burger is rich.